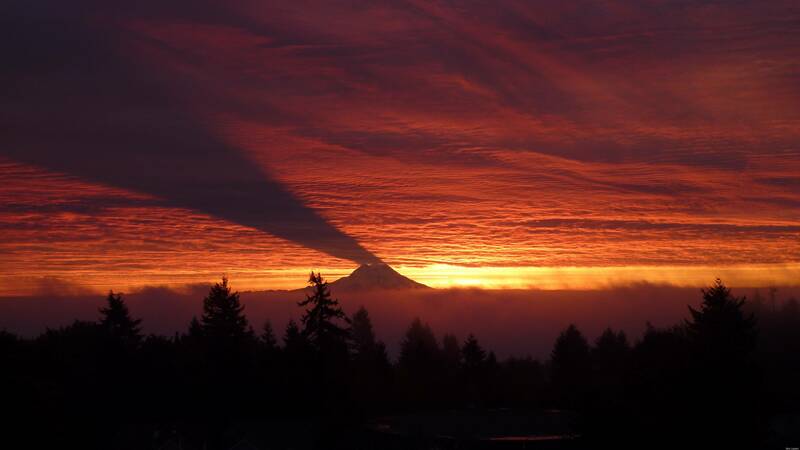 This is a mind blowing photograph of Mount Rainier’s shadow. It’s a rare instance where the sun is below the summit and the light shines up towards the peak casting a shadow on the clouds above. It almost looks like something out of Lord of the Rings.